Volunteers with our crisis line help domestic violence victims take their first steps towards a safer and more secure future. We receive approximately 2,000 calls a year and have assisted with making sure domestic violence victims receive the information, intervention, referrals, and advocacy they need. 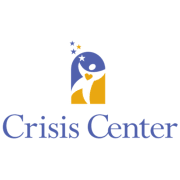 Due to the nature of this position and the close communication with victims, extensive training will be needed and provided to volunteers by the Crisis Center following a background check to ensure you are confident and comfortable in your position. Flexible but would like at least 1 to 2 hours a week.